Each a concours quality accurate reproduction. "Spiral wound" parking brake cables are manufactured by our ISO/TS16944 certified OE manufacturer to original factory specifications and exact original appearance. Technically correct. 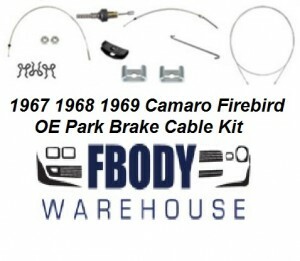 Complete kit includes front and both rear spiral wire wound cables, intermediate cable (79"), technically correct equalizer, cable hook and connectors, cable clip set and adjusting nuts. Each a concours quality accurate reproduction. 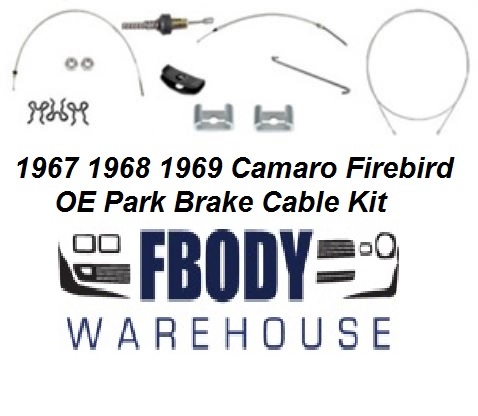 "Spiral wound" parking brake cables are manufactured by our ISO/TS16944 certified OE manufacturer to original factory specifications and exact original appearance. Technically correct.